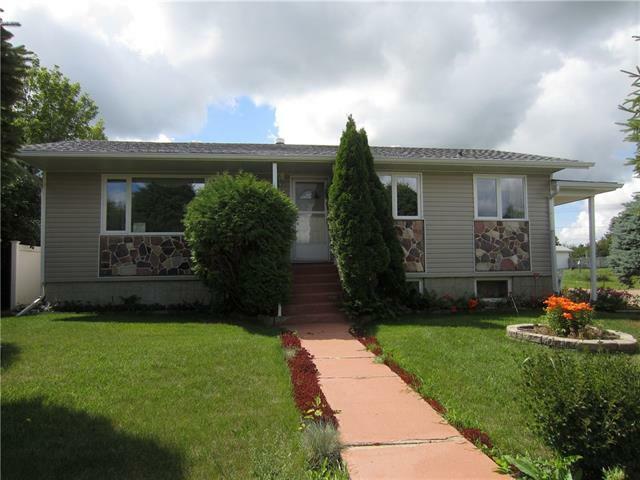 Have a look at this warm and welcoming Bungalow in the Village of Holden. Meticulously cared for inside and out with wonderful upgrades to include updated windows, siding, shingles, kitchen and upstairs bathroom. This home is set up perfectly for a one level lifestyle with large living area, wonderful eat-in kitchen, 2 bedrooms, 4pc bath with separate tub and shower plus a dedicated laundry room. As a bonus the basement is set up with a kitchenette area, a third bedroom, 3pc bath, large family room and a second laundry area - excellent option for rental income or for extended family - even includes dual furnaces for temperature control! Heading outside you'll appreciate the attention to detail such as the covered veranda with wrap around deck, large flower/vegetable gardens and a lovely water feature. To top it off a 24x28 heated garage with additional 12x20 work shed and a handy roll up door. There's no question, this home has been truly loved and is ready for you.